Call us now: 303-466-4206 | Free Estimates! 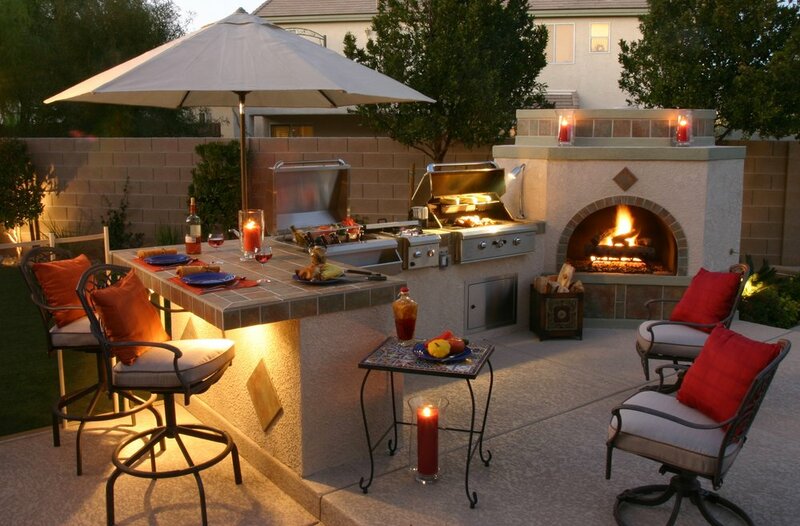 Make your outdoor gatherings a little warmer! 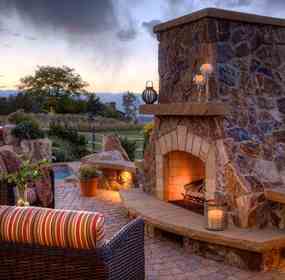 Find out about outdoor fireplaces! Let us be a part of your outdoor experience! Showed up on time and made quick work of the repair. I was sure the valve was bad. They diagnosed the switch contacts. Cleaned switch, serviced fireplace, thoroughly cleaned it, all with in 45 minutes of their arrival. Great price too. Definitely recommend. Professional trades people still exist. Great to see. Having Justin and Chris come out to my new home and install a gas line for my new range was hands down the easiest experience I have had with home renovations to date! They were on time, quick and helpful. They explained things to me in a way that made it easy for me to pass the information to my husband since he wasn't available to be there. It probably took them an hour tops!! I was able to get back to work and on with my day. Best of all our house is ready for our new gas range. Thanks Justin & Chris! - Side note, I have to say, The Gas Connections response time for a quote was quick and thorough. Their prices are fair, we have had friends say they spent far more with other companies for the same service. Experience as a whole was top notch! Doug and Tom were great, on time, and very knowledgeable. Had 3 fireplace cleanings scheduled - and went above and beyond in explaining what they were finding (including a gas leak). Great overall experience with The Gas Connection. Would highly recommend. This was by far the least expensive quote and the company was great to work with. The install crew was amazing. They were very personal, clean and professional. I couldn't say enough about the whole experience, it wa great. Thanks again. Aaron and John with The Gas Connection were amazing! After calling multiple different companies, The Gas Connection was the only one willing to come right out and help us. They came quickly, and worked quickly, and stayed late until they could find our gas leak. They were friendly, knowledgeable and professional. I would recommend them to anyone and will call them when we have any other gas needs. They literally saved our lives! 10/10 would work with The Gas Connection again. Professional service from start to finish. Great to have a company you know you can trust to do things the right way and for a reasonable price. We just used the Gas Connection to service our fireplaces, and they were wonderful. Everything about our experience was seamless and professional. We worked with Doug L. and Tom, and they were both friendly and efficient and most importantly, they knew about fireplaces and how to service them. We will absolutely be using them again. Doug was thorough, professional and reassuring. Doug has come out twice to our home to fix our gas fireplace. We always keep Doug and Gas Connection in mind as they are prompt, honest and reasonably priced. He once again has our fireplace working great. Thanks Doug! The Gas Connection was great at getting my gas line hooked up for my gas stove and barbecue. Marvin came out to our house on a Monday to give us an estimate. 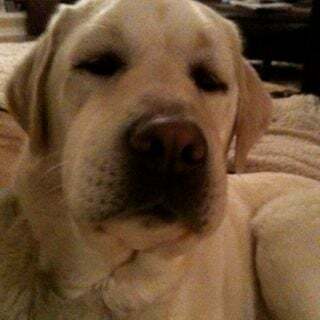 He was very meticulous and did several walks through our house. He gave me a quote the same day and I called him several times with question and he was a pleasure to deal with. He even called me back at 5:30pm on a Friday to answer my question. I was called the following Monday to setup my installation and I dealt with Scott. He was so informative and such a pleasure to deal with. He walked through what to expect the day of my appointment. Aaron came out two days later to install our gas line and he was a couple of hours early. It was a nice surprise as we were anxious to get our gas line put in. He called before coming to the house and when he came in, he walked through the areas where he'd be doing work and explained everything. He covered our floors with matting so it wouldn't get dirty. He spent a few hours working and when he was done, he did another walk through explaining everything he had done. He did a couple of pressure tests to make sure that everything was done right. I was very pleased with his work. He was friendly and very respectful of our property. This company is the one to go with if you're looking to get a gas line put in. I wouldn't hesitate recommending them to anyone. Thanks, Gas Connection. We recently had a new HeatWave fireplace insert installed by Gas Connection guys, Aaron Smeltzer and Jason. They did a great job and explained the workings of the new unit to us. They cleaned up the room upon completion. Thankful for the care with the doors being opened and shut to avoid the kitties escaping! Very considerate, thank you! Arrived on time and got our fireplace back to working beautifully. Doug offered some great tips on keeping our fireplace maintained. Tom was prompt, and extremely detailed in his inspection, cleaning and servicing both fireplaces. One of the best experiences I have had with aany service company. Joe and Eugene took extra time to get our fireplace done correctly. They are both very polite, gracious and really know their stuff. Thanks so much guys. As an electrician with a business of installing standby generators for folks needing dependable power 24/7, we use the Gas Connection for our gas line hookups and have NEVER been disappointed with the service or price. These folks are dependable, reliable and high quality in all they do!! Kimberly Mechtly Forsgren @ Roy's Electric, Inc. The gas connection was a company I would recommend to anybody. All their servicemen were professional and on time. prompt and friendly service. Tom was knowledgeable and did a great job. Doug L.. fixed our OLD fireplace and it was a pleasant experience. Not only is our fireplace now working, he is a clean worker,-- ( used blanket to protect surface around the fireplace and took off his shoes)-- kind, considerate and went beyond my expectations!!! He was on time, and although very busy, he took time to explain the fireplace issue to me and then proceeded to make all better! He even had a part in his truck to a 20-year old Fireplace. I highly recommend The Gas Connection! Doug was awesome. He got the fireplace working. Bad controller. Also recommended a blower to help with the heat distribution. Very nice cleanup. Organized the faux wood logs perfectly and showed me how to use the remote control. 5 Stars! Aaron, Jason and the whole crew at The Gas Connection we’re amazing to work with. They had good pricing, great attention to detail and were very friendly. Doug showed up right at the start of my service window time, which was great. He cleaned our old fireplace and got it running again just in time for winter weather. It looks almost like new! We're pleased and grateful! Doug L. did a good job for us...fireplace is working again. Zach was prompt and efficient in the repair. Everything looks good and working well. I would recommend The Gas Connection to anyone with a gas fireplace! From repairs to annual cleaning, they are the BEST! Tom Ray came out today cleaned and adjusted our gas fireplace. Excellent professional work. He showed up on time was courteous and knowledgeable. Great representative of The Cas Connection thanks for the service. Doug came on time and did an excellent job. He was extremely helpful in explaining how to operate the fireplace since we had never had one before. He also replaced a needed part efficiently and did a great job inspecting and cleaning the fireplace for us. I would definitely recommend him to others. Alan called ahead, arrived early, and did a good job. He was cheerful, polite, and professional. Thanks, Alan. Joe moved the gas line behind my range in preparation for a new stove. he was professional and knowledgeable, did a great job in a timely manner. the only problem was not his fault, he got backed up early in the day and was running late. my suggestion to the GC is to monitor time and if a tech is more than an hour behind call the customer. Alan arrived on time and was both professional and courteous. He addressed our problem methodically and did a great job in relocating our gas line to the kitchen range. Highly recommended! On time, excellent service, very careful not to make a mess and cleaned up after the job was done. I don't call anyone else for natural gas connections and repairs. Alan was excellent -- explained everything and got the job done quickly and cleanly. Love this company! Doug is an excellent technician. He did a beautiful job of cleaning our fireplace and then he gave it a thorough check-up. He even cleaned up after himself so that you really did not know that he had been there. My wife is very happy because he made certain that you could not see the gas pipes and he added more "embers". Hope to have him back next year. Because of some scheduling difficulties, Alan was not able to make it at 2:00 as planned but he arrived at 3:10 as he had later indicated. He came in and immediately started working...he knew what he was doing, took apart the gas line, taped and re-doped the connection, put everything back together and checked very thoroughly to make sure nothing was leaking and everything was working as it was supposed to. He worked quickly but efficiently and I am definitely impressed with his work as well as the response time of the entire company. Would definitely use them again. We have used The Gas Connection for both our fire pit and furnace. Always on time and efficient. They do great work and their techs are well-trained and pleasant to work with. A great family-owned company. Thank you Marvin and The Gas Connection! Not only were you knowledgeable in the diagnosis of the repair, but timely in the repairs, prepared with the appropriate supplies to keep the job site clean, and on time for the appointment. Fairly rare these days for many service professionals! Marvin also educated us on additional services we may want to consider in regards to blower fan speeds, temperature control and ongoing unit maintenance. Thank you for your professionalism, I highly recommend The Gas Connection for your service needs! Doug at The Gas Connection did a great job fixing our gas fireplace after several other companies had failed. Very nice and definitely understands how to make work correctly. He even took extra time to arrange the logs and ember so it looked assume when he left. Happy to have found Doug. First Alan B. and Chris called prior to appt where they told me they would be right on time...NICE WAY TO START. They then got to house and we discussed what we wanted and they understood if perfectly. The did the job in the exact right amount of time and when they showed it to me it was PERFECT! and even allowed me to "modify" it for my final installation of the Grill and Fire Pit. Overall I could not be more thrilled with the work, the process, and the company. AAA++++ My highest recommendation to The Gas Connection GREAT company. and Alan B. thanks you have that rare skill of being great at what you do technically as well as being a great customer service provider. AWESOME! Doug arrived on time. He's very pleasant and made the fireplace shine and burn!!! Thank YOU Doug! Justin and his helper were on time and did a phenomenal job installing our gas fireplaces. I didn't see them take a break even for lunch. When they were done it was impossible to see where they had worked it was so clean and professional. My wife and I cannot praise them high enough. Job well done. Great service from Doug at The Gas Connection. Would readily recommend him for your gas fireplace service needs. John and Aaron were very courteous and pleasant. Their work was professional and they explained things very clearly. Their cleanup was thorough. My only complaint was the cost, I thought it was high considering the time it took. These guys are the best. Period. From the initial phone call to the completed installation of our gas fireplace, they were fantastic. We will ONLY recommend The Gas Connection to our family and friends.... Why? Because we trust them. John M the lead field tech and his assistant where very personable and explained everything they were planning to do. Their workmanship was top notch and very clean. I couldn't have been happier with the work they performed. Plus the Gas Connection was very price competitive with their quote. I highly recommend them, don't waste time calling plumbers and HVAC companies. They will be back to do more work for us in the spring. I recommended The Gas Connection to the Parker Home Depot appliance department. Just had Justin from Gas Connection install a fireplace and gas piping. It was efficient, easy, on time, and professional. I would highly recommend both the company and Justin. I have been using The Gas Connection since 2000, three different homes. Always dependable. Always informative. Doug L was our service man this time. Polite, gentle around the furnishings, and an expert in his field. You cannot go wrong with this team. Don't wait until the last minute. Experts are hard to schedule quickly, because they are in demand! Justin & Joe just worked miracles to manage what might have been the world's most complicated gas stove install in my 1978 house. A plumber referred me to the Gas Connection after he deemed the job too complex, and I am very happy with them. They encountered many, many obstacles in running the gas line but managed to figure out solutions and get my stove installed successfully. Very professional and on-time. Highly recommend. Doug did a great job replacing the blower on my stove! These guys are good!!!! Needed a reliable gas contractor to install a gas line from the house to the new fire pit. Two hours later- I have gas to where the pit is going to be. One month later, they come back and do the final hook up!! All of their staff are knowledgeable and courteous. I highly recommend them for any gas job you need. We had a small gas leak in our fireplace - fixed promptly! We had Alan and his partner (didn't get his name) out last week to run a gas line for a gas fireplace and were thrilled with their expertise. They showed up right on time and were in and out in about 2.5 - 3 hours with everything cleaned up and left as they found it. Additionally, I've had to make several phone calls to the office and have been treated very courteously with my questions/concerns taken care of immediately. My husband was a gas fitter for Xcel for 35 years and he too was very pleased with the workmanship. Would strongly recommend Gas Connections and would most definitely use them again. We asked Doug to clean and check our gas fireplace. We expected him to clean the fittings and make sure we had no leaks. He went well beyond that. When he was finished the fire looked better than it ever has. The flames are now full across the width of the logs and the embers look realistic. 5 Star Service in all regards. If you're looking to upgrade your fireplace I'd put The Gas Connection at the top of your list for the installation. Alan Briscoe and his colleague Chris (don't have his last name) installed a new fireplace insert this week that I purchased from High Tech Appliance in Louisville. I'm extremely happy with Alan's and Chris's work. They were on time, efficient and very professional. They took the time to answer all my questions and left the area as clean as they found it. After I purchased the new unit, The Gas connection was also quick in scheduling me for the installation appointment. I'm very satisfied with my decision to go with them. Doug was really great. The fireplace looks great and really appreciate the friendly and great service he gave us. Doug from the Gas Connection was friendly and knowledgeable. He was very patient in trying to figure out what was going on with our fireplaces and was conscientious when making recommendations on options. I highly recommend working with Doug and this company. I have used Gas Connection for years and had the privilege of meeting Doug for the first time as he came to service my three gas fireplaces today. He was conscientious, knowledgeable, and very thorough. He took his time and did a great job as well as making the flame arrangement in my insert look very real. He is an asset to your company and I will certainly ask for him by name when I clean again in two years per his suggestion. I was very pleased with the fire insert that the Gas Connection installed. Collin and Chris (?) came on time they worked very hard and solved the various unexpected problems that occurred. They were both very professional, helpful with explaining how the unit worked and did a very good job of cleaning up and hauling off the existing unit. I would absolutely use the Gas Connection again! John and Travis from The Gas Connection did a great job installing a gas line to my fireplace. There were prompt, courteous and did excellent work. They even asked me if I had any matching paint and touched up the exterior wall of the house where they had drilled a hole! added a gas line for the installation of a gas fire place. very profressional, got right to work, very curtious, answered all my questions and concerns. cleaned up and was done sooner than I thought very pleased with this company haven't seen service like this in a long time I would recommend them to any one need and gas service Thank You very much for a job well Done!!!!!!!!!!! Was very happy with the Gas Insert that John M. put in for us. I would rehire them in a heart beat. They were timely and considerate as they worked inside and outside of our home. More reasonably priced than plumbers. Highly recommend them. Doug came to our home on 9/11 to service our gas fireplace. It had usually worked great but for some reason the pilot light was out and I could not get it to relight. Doug took everything apart and cleaned it all including the glass. It looks brand new. He stated that was all it needed was a thorough cleaning. I know there are companies who would have stuck us with parts and excessive labor charges. Our fee that we were charged was very reasonable. What I am most impressed with is the customer service from the call taker/scheduler who really worked hard and got us in early due to a cancellation. Doug was a superior technician with a wide range of knowledge and also very personable. He explained everything. The fireplace is as good as new, or even better than new. Great job Doug and Gas Connection. We will be selling this home and moving and I will be calling you again for service in our new home just for regular maintenance and checks. I highly recommend Gas Connection to anyone. Best of best for any home repair company that we have ever used. Keep up the great work. (Posted a review on Yelp). Doug did a great job! Had the fireplace maintenance/cleaning done. Professional, friendly. Doug just came to service and clean my gas fireplace. My home inspector said the exhaust was poorly designed due to excessive soot above the exhaust port, but Doug thought is just needed to be cleaned and tuned. Doug quickly showed me the problem - hundreds of moths had gotten into the intake! He took his time and meticulously cleaned and serviced the entire fireplace. He was on time, friendly, and professional. Best of all, the fireplace now works like it should and looks great! I highly recommend you get your fireplace serviced every couple of years to avoid this type of issue! Thanks Doug! I was very pleased with the work completed by Gas Connection. Alan took his time and explained what he was doing related to my gas fire pit and grill. He lent a hand moving my new grill into place which was above and beyond what he was contracted to do. I highly recommend these guys for future work. We had a gas line installed for our kitchen remodel. The service agent, Alan, with the Gas Connection was friendly and knowledgeable. The installation was don quickly and professionally. I would recommend for any gas line installation! Alan came to our house today to convert to gas for our new stove. Extremely professional and knowledgeable. Did a terrific job and great communication and extremely neat. My wife and I contacted The Gas Connection to address two issues with our gas fireplaces: 1) autonomously turning on with no input from us or our remote control devices, and 2) making beeping sounds with no input from us or our remote control devices. The Gas Connection promptly dispatched Marvin to address these problems. Marvin was very helpful, knowledgeable, and thorough in addressing these problems. He also followed up with the manufacturer of our two fireplaces and then walked me through their procedure to respond if these problems recur. I would definitely recommend Marvin and The Gas Connection for any type of service involving gas fireplaces. Have used Doug several times. Always does a great job. Would highly recommend him. We switched from a propane grill to natural gas and had to have a line installed from the basement. Don was reliable, efficient and knowledgeable. We highly recommended Gas Connection. The Gas Connection did a great job of installing our gas fireplace three years ago. Doug recently serviced it. He showed up on time, was very friendly and did a thorough, professsional job. Fireplace works great! Would definitely recommend both Doug and The Gas Connection. Alan and his assistant were professional and thorough installing our new gas fireplace insert. We had some anxiety about both the gas line installation and the fit of the insert into the existing fireplace shell but they explained everything and completed the process with great attention to detail. We are completely satisfied with the result. They also cleaned up afterward which is a huge plus. We would definitely recommend their services! Alan was prompt, and he completed the gas line installation quickly and professionally. I would recommend the Gas Connection to anyone for work on gas lines, fireplaces, etc. I was particularly pleased that The Gas Connection could work with me and my other sub-contractors to accomplish each part of my project without interference or delays. We had great service from Doug who cleaned and repaired our gas fireplace. He is friendly, efficient, and a lot of fun to work with. Joe was excellent - accommodating, kind and knowledgable. Thanks Joe! Doug was on time and did an excellent job. He cleaned my gas fireplace and waited to make sure the blower was working. He made sure that no mess was left when he got done. Very excellent job! Doug just completed excellent service on out fireplace insert! Thanks again! Always great concern for doing a great job and making sure the work area is left clean before departing. Doug was on time, courteous, friendly, knowledgable and showed me what he was doing every step of the way. We ran a gas line for an in-ground pool. Zach was the person that ran the line. He was prompt and did a great job. Alan with the Gas Connection ran a new line for a pool installation. He was professional and did a great job. I would recommend The Gas Connection for any residential gas work you have. Through and friendly. Pays attention of details. Went over the mechanics of the fireplace. Got us up and running. Just had Doug come service our cranky heatilalor fireplace. Very good service and also very informative. Doug was able to answer all my questions and he did a great job taking the cranky out of the fireplace. I plan on using you folks again when I move into our new home is a couple of weeks. I recently switched from electric to gas cooking and had to have a gas line run to my kitchen. I collected 3 estimates and the Gas Connection was definitely the best. They scheduled a time for the very next day which really surprised me. Alan came out right on time and checked everything out very thoroughly. He ran the line quickly, cleanly and very professionally. He made to to check and re-check everything before he left. I was very impressed with the whole process and I would highly recommend The Gas Connection to anyone needing any kind of gas work. Highly recommend Gas connection. John and Chris were awesome. Very timely and professional! We had 4 regulators installed and the process between estimate and installation was very smooth. We appreciated their attention to detail and to customer service. They were all very knowledgeable and very friendly. Doug came on time. Went right to work. Ours was a potential safety issue and that was addressed and evaluated quickly. Happy with the result, even though the work was simple. It was great to have a really experienced professional confirm that there were issues that could be resolved easily if they came up again by us. The install price was fairly pricey, but Justin was very professional and friendly. I would highly recommend him. I recently decided that I wanted to get rid of my electric stove and go with gas. I grew up on gas stoves until later in life where everything was electric. I didn't know what company to go with but when I googled searched.. The Gas Connection popped up so I gave them a call. They were very nice and got back to me very promptly. My technician was Collin H and called to let me know he was running a bit late which was fine. He took his time and took pictures of what he did since I really did not want to go crawl into the crawl space. Everything looked great! I will hit up TGC again for any future projects relating to gas. I would recommend this company. Thank you guys! I am extremely please in the high level and service and quality work I recieved from The Gas Connection. My project began with Kevin who provided me with the quote for work. He was thorough and made sure all work to be completed would be to current building codes. Once I accepted the quote and had the work scheduled the timing was right on target. Joe and Joe arrived right on time on installation day and worked non stop to install my insert. They did great work and explained well how to use my new insert. I would reccomend The Gas Connecction to anyone who wants high quality work done inside or outside your home. Marvin is not only excellent at his profession, he is so pleasant to be around. He explained everything he was doing and took time to really clean the fireplace good and found the problem right away. I love my fireplace and feel safe now using it all winter after having him take care of it. Thanks, Marvin. Doug did a fine job. He was competent and friendly. John is pretty amazing. Our stove installation was unusual and a little complicated. He anticipated what had to be done, avoided problems, and brought the whole thing off efficiently and skillfully. I don't think the work that was done here could have been done better by anyone. The gas company I do recommend! They were able to take care of the installation quickly and Zach was professional and very nice. He answered all of my questions. Marvin was very helpful in teaching us how my father fireplace works. Doug did a great job and is the technical go to guy in his company! Marvin did a great job relighting the pilot light and cleaning my fireplace insert. He also gave me some tips. I will definitely use the Gas Connection again. Justin from The Gas Connection replaced a corroded gas pipe at our home. Fantastic, friendly and competent service. I would definitely recommend The Gas Connection and plan to use them in the future. I recommend The Gas Connection. They do a professional job. Doug has been out at my place three or four times, I get the yearly check up/cleanings. He has a good sense of humor, always does a great job and has been a great teacher, helping me learn about my fireplace insert. I would highly recommend him and The Gas Connection. I had a small job and Kevin was able to schedule my job the next day after rearranging their schedule AND I was given a quote that was half as much as 2 other quotes! Justin did a fantastic job rerouting my gas line for my bbq. Thanks guys for a prompt, reasonable, quality job! Nice guy to have fix problem fireplace insert. Very compiident, good repair . I would recommend to friends. Great job, fireplace now works. Will call later for the Early Bird special for another fireplace. First of All, the owner of this company bent over backwards to help me. He is an early riser and pretty much a 24/7 guy. Really appreciated it. Justin estimated the job Nd did the work with assistance from Chris. Both were fantastic. The job went a little better than expected and they did a couple of nice little extras. Thanks to all 3 of you guys. I won't hesitate to recommend you and your company. The Gas Connection was very responsive. John kept up updated on his arrival time and was very professional and polite. He worked quickly and had our job done in no time. I would recommend the company and most definitely the technician! Thorough, punctual, and great service! Will recommend to family and friends. Doug came to our home last week to fix a problem with our gas fireplace insert. He very quickly found the problem and did the repair. Since the company has a one hour minimum, he then stayed and did a thorough cleaning on the insert. He could have very easily just done the repair and gone home for the day, but volunteered to do the extra work at no additional charge. I was very impressed by the work ethic and will certainly use them again in the future. Zach & Chris called ahead and showed up on time. They got the work done on my fireplace in a timely and very efficient manner. They also informed me of any issues they encountered. Great job. I hired this company to fix the gas leaks that Excel found. They did a great job and we would use them again if needed. I'm very happy with the gas connection and the job they have done for us. They hooked up our gas fireplace and converted our propane grill to natural gas. Excellent service and I will recommend this company to friends and family. We just had a fireplace tuneup done by The Gas Connection. They made everything very easy from scheduling to work done. The service tech Doug was professional & courteous. Our gas fireplace looks so much better now. More glowing ambers, logs arranged better, more flame and the black paint touched up. This fireplace has never looked so good. I will use The Gas Connection again. Already thinking about having them back to run gas lines to my backyard fire pit and bbq. The Gas Connection did a great job installing gas line for our fire pit and grill in one of our rental properties. The service was very professional and the installers were really helpful with all the questions we had. We would recommend them to anyone looking to have gas line installed and/or appliances hooked up. Great job guys! You really helped us out! Call To Schedule Your Free Estimate! Denver gas line installation experts. As a family owned business since 1980, The Gas Connection has installed over 300,000 gas lines for appliances in commercial and residential applications. We have worked with home owners, contractors within virtually every industry and with all the local jurisdictions attending to gas leak repair. We have also partnered and worked alongside utility companies, designers and others for one purpose and that is to provide gas line installation in the safest most cost effective way. We’ve done this with the commitment to be the best in the gas industry for installing gas lines. To the home owner that means we have installed every appliance that could ever be installed in a home or property. This would include gas line repair for cooking ranges, bbq’s, gas fire pits, gas fireplace installation, dryers, patio heaters, snow melt, and of course furnaces and water heaters. 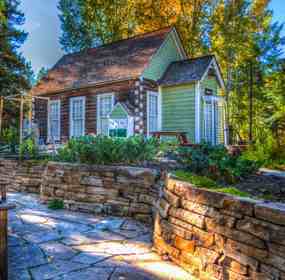 The Gas Connection provides Denver gas line installation and gas line repair for refueling stations at residential homes and for contractors who want the savings and benefits of operating natural gas vehicles at a fraction of the cost of gasoline or diesel. Although the list goes on and on, it really means we are prepared to take care of all your natural gas line needs. For the contractors that means we will provide all or any part of the gas line project you need us to do. Some have us do just the gas lines while others have us include the hookup to appliances which sometimes involves venting the appliance. So when would you need The Gas Connection? To add gas line installation for a new appliance, to replace an old gas line, to repair a leaking gas line or increase the capacity of an existing one. 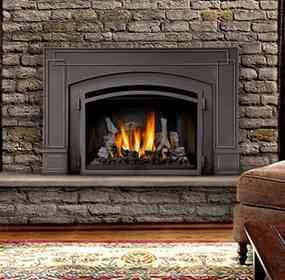 You would also contact us for gas fireplace installation as well as any other natural gas appliance. 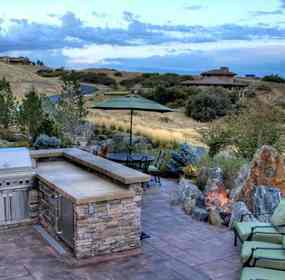 We are located in Broomfield Colorado but serve from Fort Collins to Castle Rock and many of the mountain regions. The Gas Connection, with over 30 employees which includes our in-house installers, have the experience and ability to take care of your needs. Call us for a free estimate and allow us to earn your business. You will not be disappointed. Natural Gas leaks, no heat or hot water happen at the worst possible times. “Xcel was just at my home and found a gas leak” This is a common phone call we receive from concerned customers. No mess, cleanup or hassle. 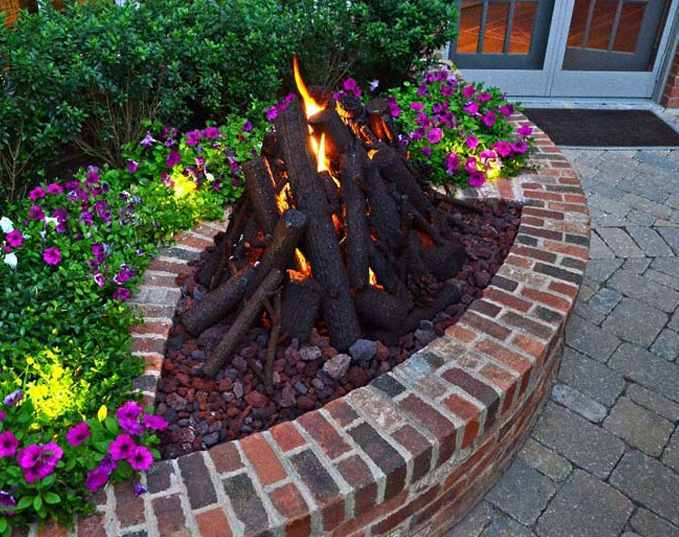 Bring excitement to your back yard gatherings while enjoying the warmth and beauty. Do You Need a Licensed Installer? Definitely Yes: The Gas Connection is licensed in every city and county in the Denver Metro Area, along the Front Range and most mountain communities. Who else installs gas lines? No other company specializes in gas line repair like The Gas Connection. We install more gas lines and appliances in a week than most companies do in a year. 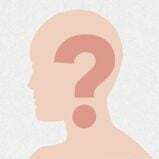 How Much Experience Do You Have and How Long Have You Been in Business? 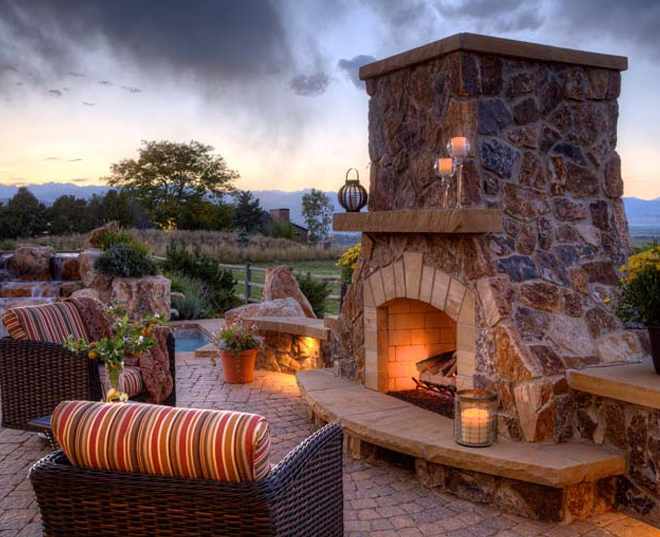 The Gas Connection has specialized in the installation and service of natural gas lines, gas fireplaces, and fire pits in Colorado since 1980. Choosing The Gas Connection for your installation allows you to purchase your unit from any one of our Gold Retail Accounts with the confidence of knowing that Colorado’s leading installers will warranty the unit.